What sets Cape Town apart from other major cities is how its extraordinary geography has dictated its urban growth. Ultimately, the city is more a series of individual settlements strung around an outrageously beautiful coastline, and each turn around Table Mountain and down towards Cape Point arrives at a new district with its own unique vibe. 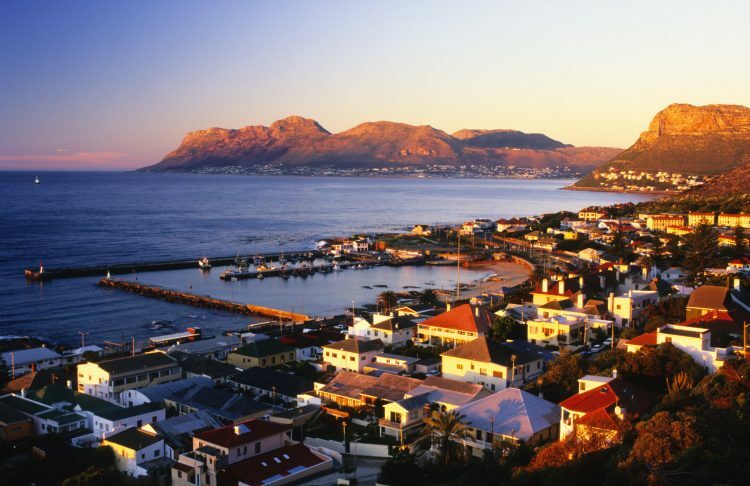 The village of Kalk Bay sits to the south of the city, nestled between a steep mountainside and the great expanse of False Bay, on the Indian Ocean side of the Cape peninsula. 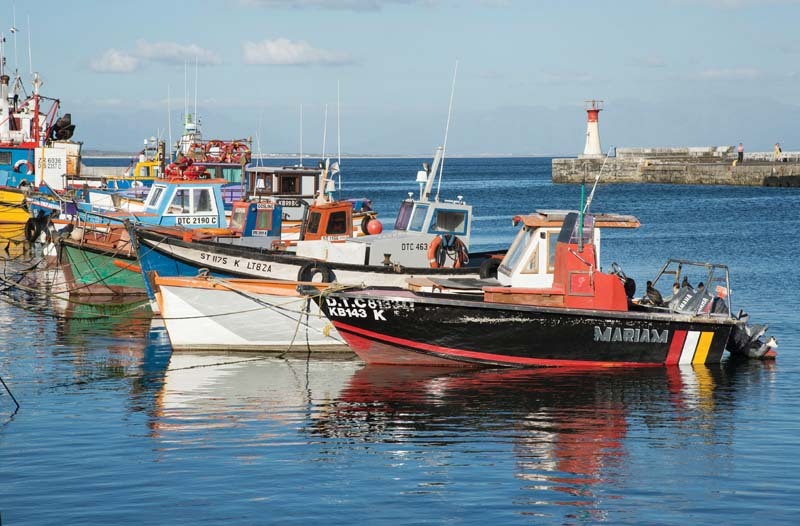 Once a sleepy fishing hamlet, Kalk Bay is now a quietly buzzing hotspot that draws Cape Town day trippers, who arrive on the train to soak up the relaxed seaside atmosphere, peruse the boutique stores and enjoy the best fish and chips in town. But there’s a lot to little Kalk Bay and its unique character, which can be traced back through its multicultural heritage. Settled by Europeans in the 18th Century (‘kalk’ means ‘chalk’ in Dutch, referring to the lime that was produced from burning mussel shells), the village developed into a busy whaling station and fishing harbour. It became a refuge for the freed slaves that were able to establish a fishing trade here alongside immigrants and pirates in the mid-1800s. The cosmopolitan population hailed from as far as Indonesia and Malaysia, with a surprisingly large Filipino community in the mix. By the end of the 19th Century, however, the arrival of the railway had transformed the village, along with neighbouring St James, into a desirable holiday destination for wealthy city dwellers. Fast forward to the 1960s. As South Africa was in the grip of devastatingly divisive Apartheid policies, Kalk Bay managed to resist the full brunt of enforced segregation to remain a racially mixed neighbourhood. In the decades that followed, the tight-knit community continued to stand up against these policies in support of the fishing families that been here for generations, and attracted artists, musicians and other nonconformist types. Today, the artsy set are still here, as are the weather-beaten fishermen, and together they’ve imbued the area with an upmarket bohemian feel that’s rooted in a down-to-earth sense of graft and craftsmanship. The soy-milk-swilling hipsters, the Cape Town day trippers and the local population of Cape Fur seals have known it for a while now – Kalk Bay is one seriously happening haunt. But the secret’s getting out, and the suburb was recently named by Forbes as the one of the world’s coolest neighbourhoods. Dive straight into the laid-back, bohemian charm that characterises Kalk Bay at this top-notch breakfast spot that is, as one Capetonian puts it, a ‘total vibe’. 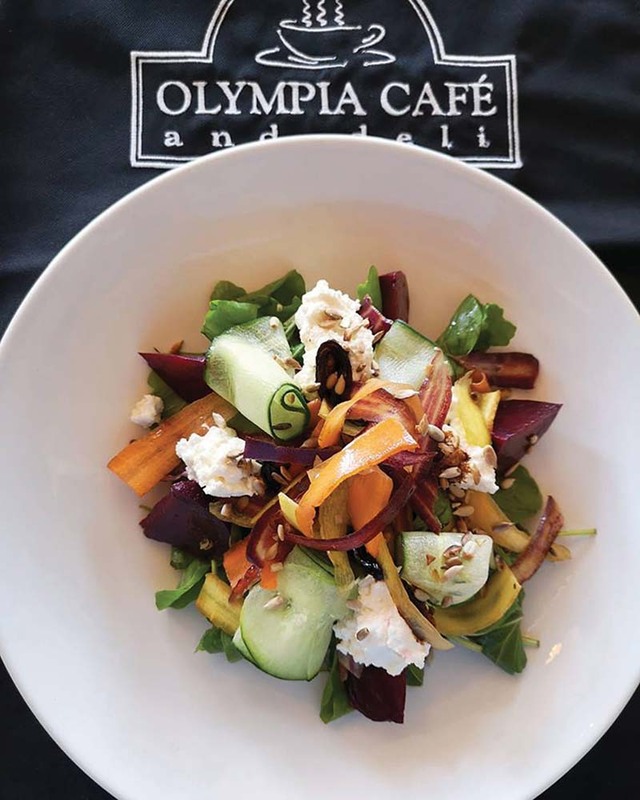 You can’t book a table, but it’s worth queuing for – the menu is devised daily, and dishes are crafted with love and tasty, ethically-sourced ingredients. 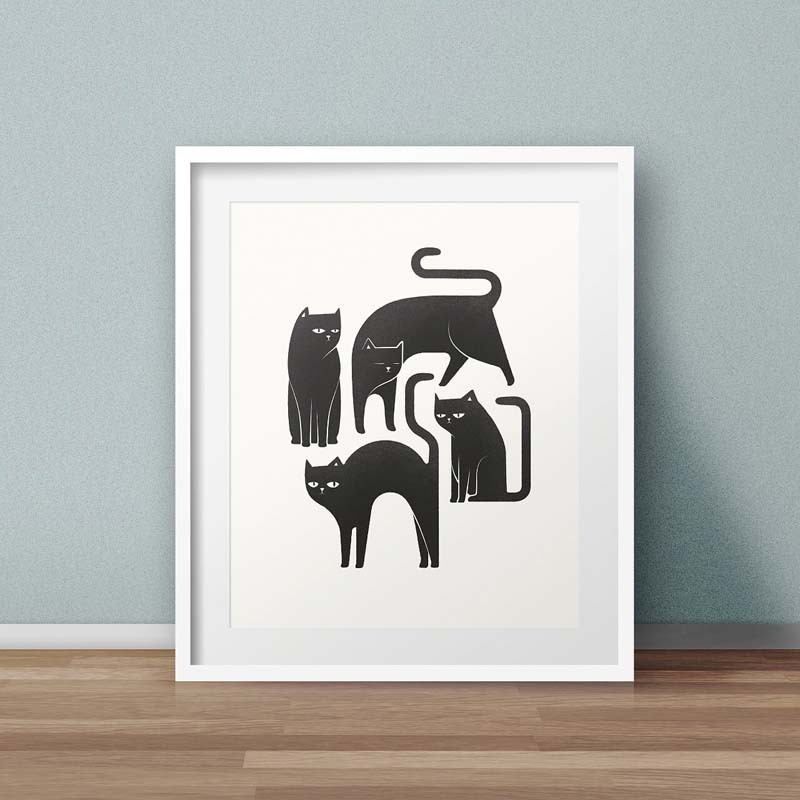 Before you go, pop upstairs to Kalk Bay Modern Gallery. One of several superb galleries in this arty suburb, Kalk Bay Modern is a bright, beautiful space offering a glimpse into the calibre of emerging local artists. 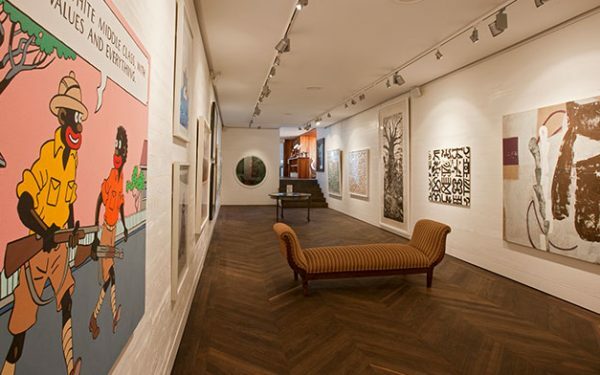 The gallery also holds a large collection of indigenous San art from across southern Africa. Nothing typifies a bohemian neighbourhood like the calibre of its bookstore. This independent booka is bursting with great titles, including local authors. 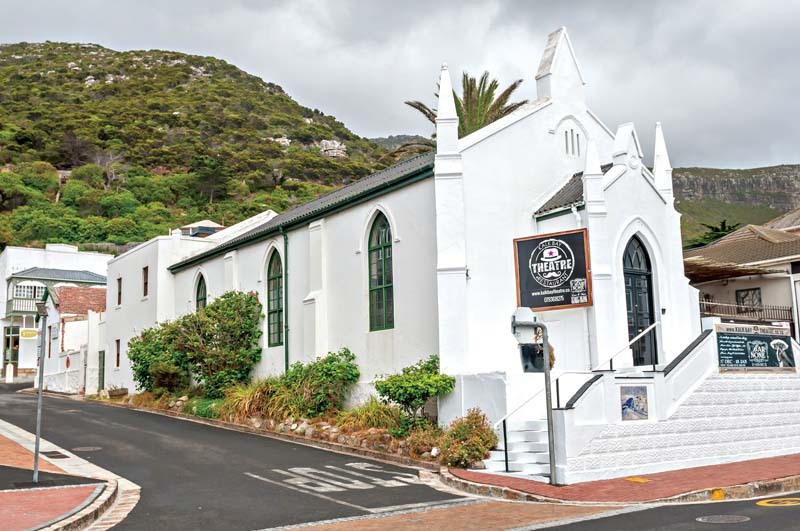 Housed in a gorgeous old stone building, it’s something of a hub for the community, hosting regular literary events, and a cosy spot to hang out and read up on your new favourite Cape Town suburb (and the resident ghost is friendly, apparently). While you’re down in the south peninsula, a trip round to Boulders Beach is a must. 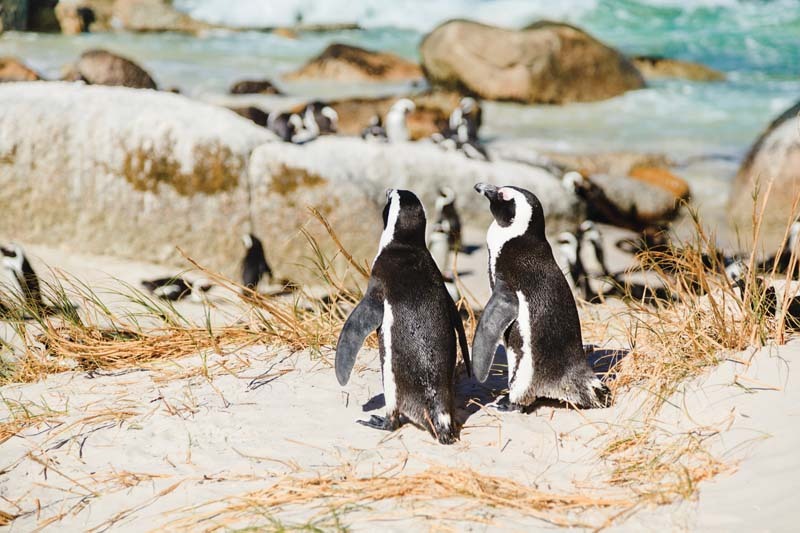 It is an extraordinary spot at the edge of Simon’s Town that’s home to an adorable colony of African penguins. You’ll share sunbathing space with the little guys that waddle past to frolic in the shallows, for the most part unperturbed by their human companions. The further into the boulders you venture, the more penguins and more peace from the crowds you’ll find, but this spot does get very crowded in the (southern hemisphere) summer. Return to Kalk Bay on a scenic train journey that takes you round this incredible coastline, right along the water’s edge through Fish Hoek and back to the village. Just a few minutes from the station is the fishing harbour that serves as a focal point for life and commerce in the village – one of the oldest free fishing harbours in the area (and for a while, a whaling station). Wander down the pier to the lovely little lighthouse, and watch colourful fishing vessels bring in their daily catch of snoek and yellowtail. It’s a popular hangout for the local Cape Fur seals, and you might also spot some whales in the bay, in the right season. 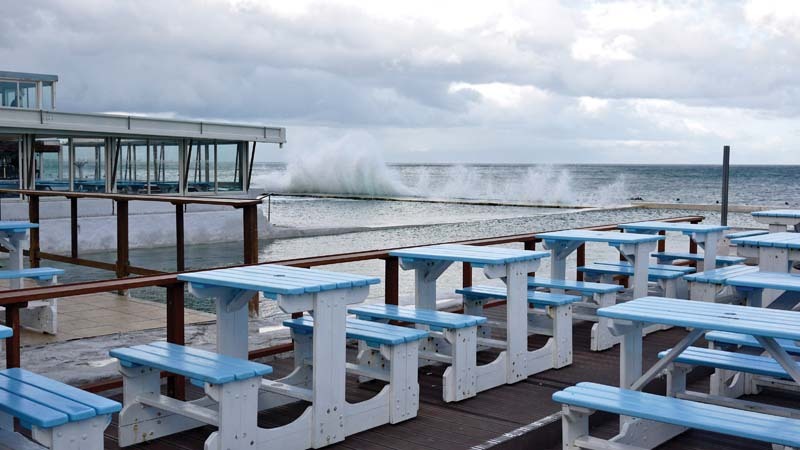 Stop at Kalky’s Fish & Chips for lunch – it’s a Cape Town institution. 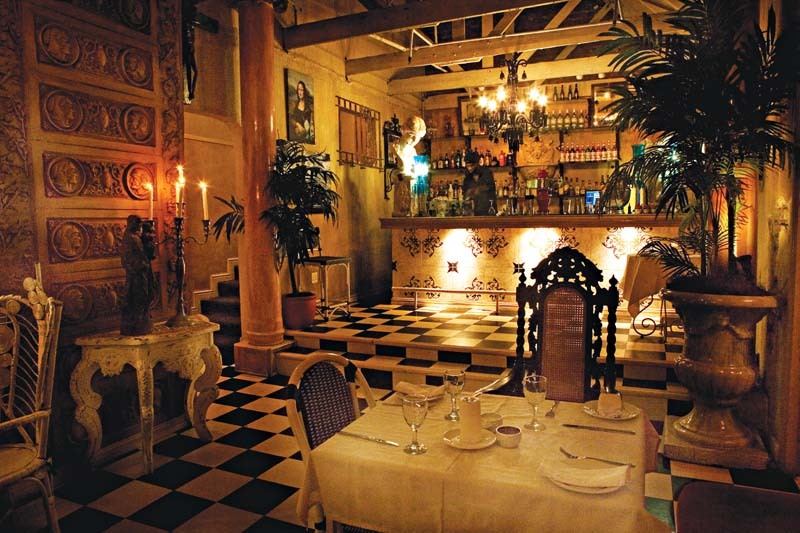 A festive jumble of colourful décor, Cape to Cuba is an indoor beach bar, and the hippest place in the south peninsula for cocktails and, of course, cigars. Snack on an array of tasty tapas dishes and fish fresh from the harbour, a stone’s throw away. Head out to the greenery-strewn terrace for dreamy views out to sea – momentarily obstructed by the train that comes whooshing past, what feels like inches from your nose. There’s regular live music and all-round good vibes. The bohemian flavour of Kalk Bay is evident in the vintage stores and quirky boutiques scattered along Main Street. 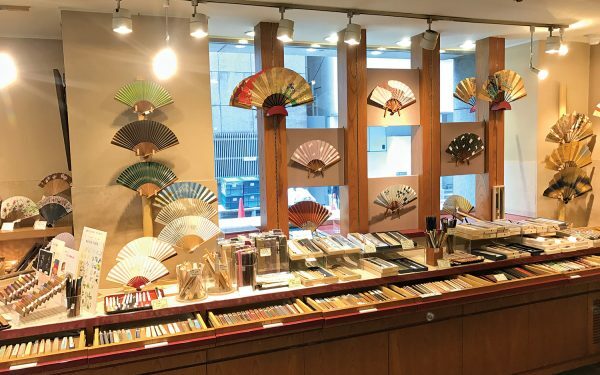 There’s Catacombes and Casa Boho, and a venture down the alleyways that branch of from the thoroughfare will uncover gems like The Kwaai Gallery. 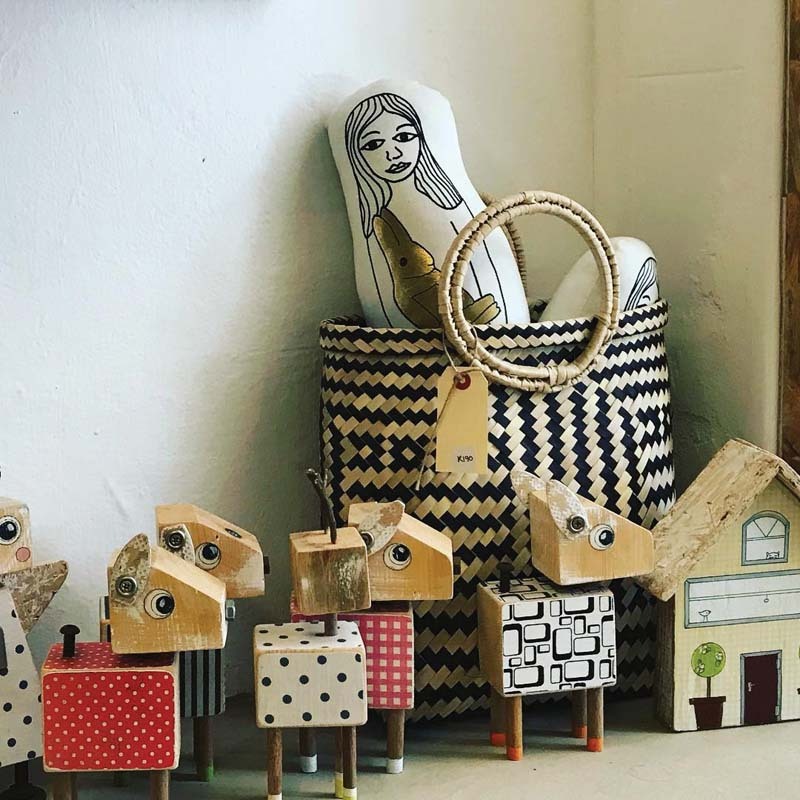 It’s a maze of clothes and jewellery, art, gifts and other cool things, all made by local designers – including the owner, a born and bred Kalk Bay creative. A couple of doors down you’ll find The Ice Café, famed for being the ‘best ice cream shop in town’. Lekker, as the locals say. Round off the day with an evening of live entertainment at Kalk Bay Theatre. The intimate venue is housed in an interesting 19th-century Dutch church building and hosts fun, high-energy productions spanning cabaret, comedy and live music. 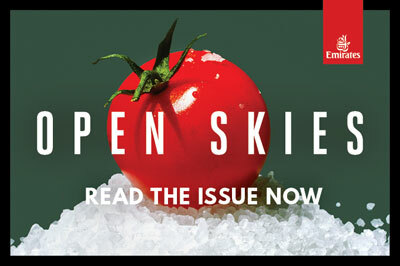 There’s a lively restaurant onsite serving pre-show meals and a selection of hand-picked South African wines – this is, after all, the Cape, and good wines come as standard. Just a short hop back across the road is a very nice spot for sundowners, a seafront gastropub that’s legendary amongst Capetonians. Access is via a graffitied tunnel underneath the train line, and the venue, a sprawling complex with its own ‘beach’ and seawater pool juts out into the ocean. Waves often crash dramatically against the windows of the downstairs dining room, or there’s a roof terrace for soaking up uninterrupted views across False Bay.